← A short month but much activity . . .
Just a few items to report. Firstly, Ted Hand, Christian Schmidt and I met with Prof. Mark Barry and his associate, Katie Allister on the 8th of the month. Mark is an acknowledged expert on transport strategy and an advocate of sustainable and integrated transport. As I mentioned last month, he has advised Welsh Government on the development of the ‘The Metro’ and is the author of the “The Rail Network in Wales – the Case for Investment”. The discussions were most enlightening (to both parties) as they gave us a number of avenues to follow to aid the completion of ‘GRIP 3’. On the 29th of the month Ted and I were invited to a meeting organised by John Griffiths AM. John had invited James Price (CEO Transport for Wales) and other members of his team, Paul Mathews (CEO Mon CC), Christian Schmidt and members of Severn Tunnel Action Group. 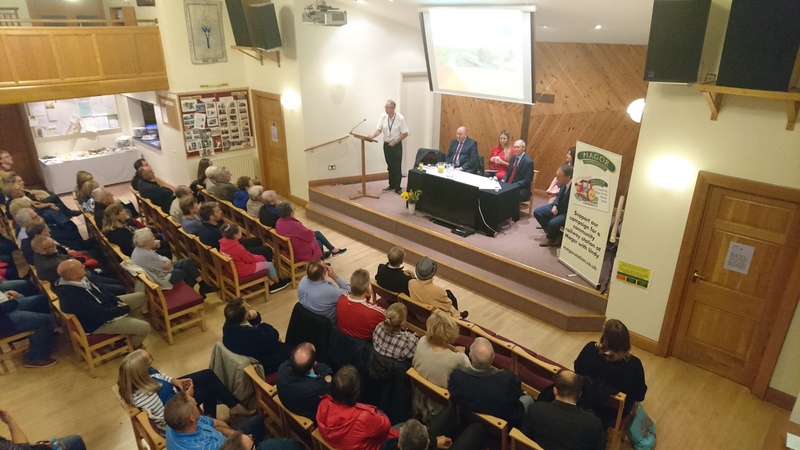 The meeting allowed for the airing of the perceived poor (but improving) rail performance under TfW operation (particularly along the Cheltenham – Cardiff line). It also gave us an opportunity to raise the profile of the ‘Magor Case’ again and highlight some anomalies with the list of 12 rail schemes that Welsh Government are taking forward (which doesn’t include Magor at this point). More importantly though, it became clear that ‘Monmouthshire’ needs to take an early and stronger lead with the transport strategy in South East Wales because of the forecasted, significant growth in population (in Monmouthshire and in the neighbouring part of Gloucestershire), the recent removal of the Severn Bridge tolls and the severe and polluting traffic congestion around Chepstow. There was a strong consensus for this view and Paul Mathews proposed that he developed it further and provide a briefing note for John Griffiths AM. The middle of the month saw the usual committee meeting. One of the main items was the discussion of the production of the book of winning stories, written by the school children of Magor and Undy primary schools, as a result of the GWR Famous Five competition last year. Cllr Dymock has the production of the books in hand and Ted agreed that he would ask John Griffiths AM if he would show children from two schools around the Welsh Government Senedd building. Ted did this at the meeting of the 29th and John said he would be very pleased to. In summary, whilst being no closer to the station being built, we have redoubled our efforts this year to convince Welsh Government to include Magor in its station building proposals.